3D laser scanning and 3D modelling to create a full digital record of this intricate heritage structure. 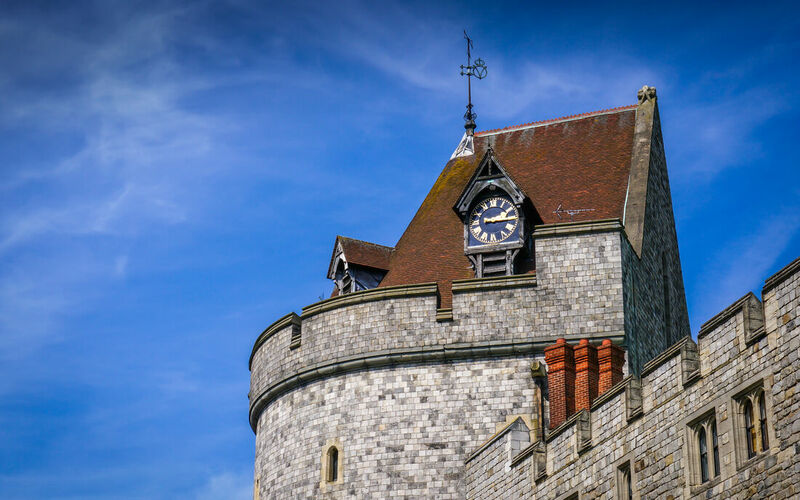 Although the positions of the main features of Windsor Castle have remained largely fixed, the design has changed and evolved over the years according to the times, tastes, requirements, and finances of successive Monarchs. The Curfew Tower is a great D-shaped tower, the building of which began in the 1220s by Henry III to command the northwest angle of the lower ward defences. In 1477, Edward IV granted the tower to the College as a belfry and a great timber frame was erected within it to house the bells and clock mechanism. The College bells and clock have hung here ever since. The data was registered and processed and a full 3D model was extracted in MicroStation and AutoCAD using Cloudworx software. Astonishingly, the medieval timber framing of the belfry remains intact, although completely concealed beneath 19th-century alterations. The bells are still rung regularly and there are a number of conservation and safety issues concerning the medieval structure. 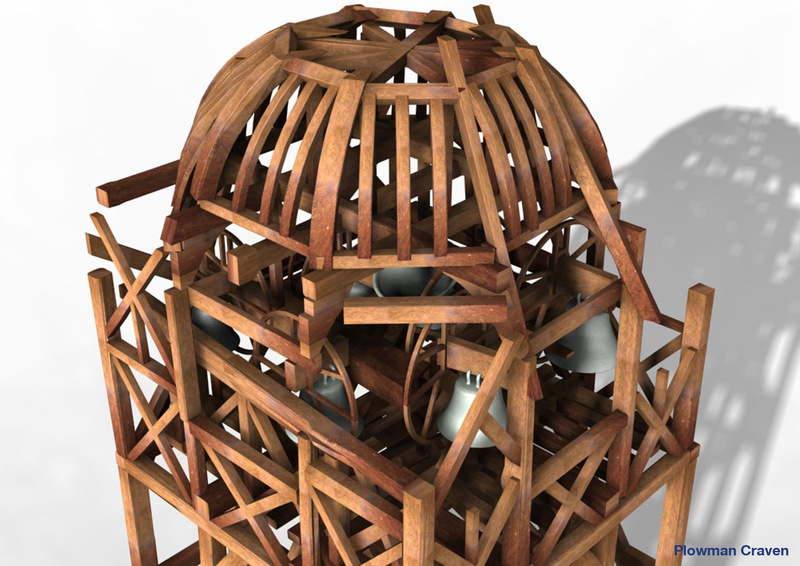 When Martin Ashley Architects, responsible for the upkeep of the frame on behalf of the College of St. George, required a full structural analysis of the timbers, it enlisted the services of Plowman Craven. 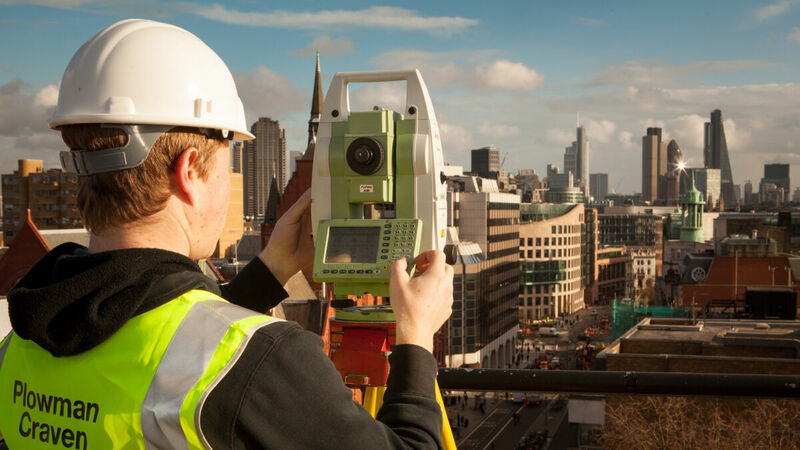 We undertook a program of laser scanning and 3D modelling and despite the cramped and precarious conditions, our experienced surveyors were able to create a full digital record of the frame in only three days on-site. The data was registered and processed and a full 3D model was extracted in MicroStation and AutoCAD using Cloudworx software. 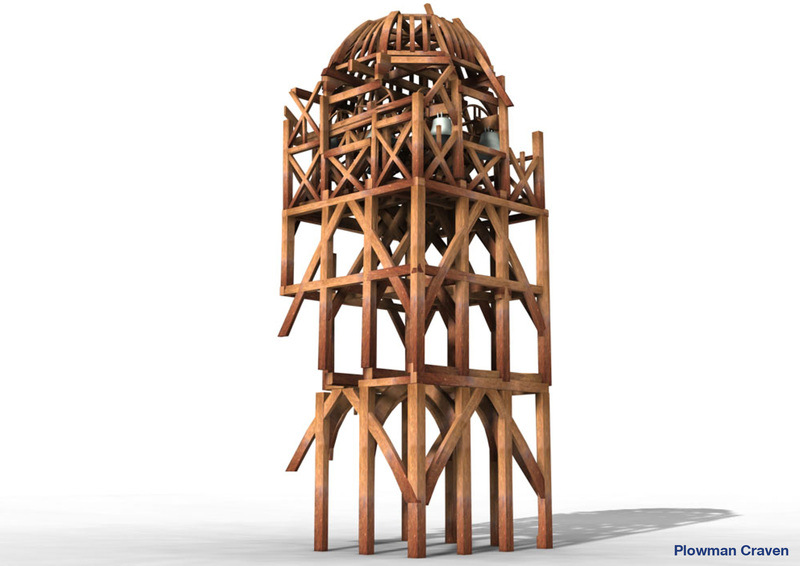 The model allowed each individual structural timber to be measured, assessed and, if necessary, strengthened or repaired.